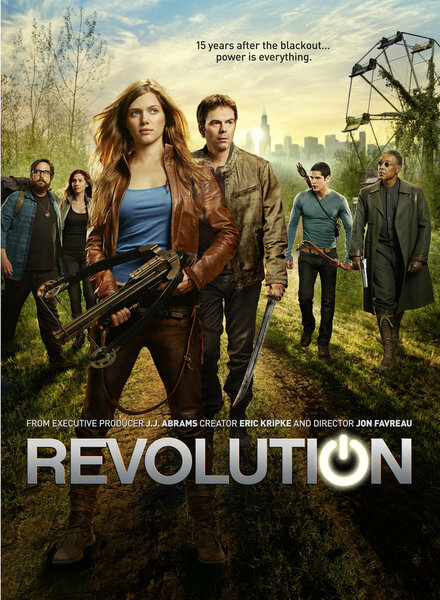 After experiencing a pretty steady decline in its numbers since returning from its mid-season hiatus (and even before), NBC’s Revolution finally halted its slide and actually improved its performance this past Monday. The show pulled a 2.0 rating in the 18-49 demographic with 6.1 million total viewers, up from the season low rating of 1.8 the week prior. That 2.0 score doesn’t necessarily count as a huge victory, but the NBC execs had to be glad that it did not continue to sink. They already announced a second season renewal for the show (for a full twenty two episodes no less) and had to be dreading what looked like a potential death spiral the that the show was tracking. Still–as I’ve said before–Revolution will need to make some sort of course adjustment next season if it ever wants to get back to the numbers that it enjoyed when the season began. Short of that, this one will almost certainly not get the chance to complete that full season order next year. On Sunday night, HBO’s Game of Thrones continued to win its march against its timeslot competition as it improved its numbers once again with a 2.9 rating in the 18-49 demo and 5.5 million total viewers. That beat out all of the cable and broadcast network shows for the evening and that rating would put the show at or ahead of all but seven shows in the broadcast network Top 25 last week. Over on ABC on Sunday, part one of the Once Upon A Time Season finale improved that show’s numbers to a 2.2 rating with 7.5 million total viewers. As for the Monday cable shows, Syfy’s Defiance continues to hold steady at a 0.8 rating in the 18-49 demo with 2.2 million total viewers while Warehouse 13 once again tracked at a 0.5 rating with 1.3 million total viewers. On A&E, Bates Motel held steady as well with a 1.3 rating and 2.7 million total viewers, making it the top rated scripted cable show for the evening. And on Tuesday night, NBC’s Grimm repeated the rating it had last week, pulling a 1.9 score with just over six million total viewers.